Game of Thrones fever is peaking ahead of the April 14 final-season premiere. Following the chill-inducing Arya kill-list Mountain Dew can, now Oreo steps up with an homage to one of the HBO drama's most celebrated set pieces—its famous opening title sequence. 360i worked with production studio Elastic on the video below, which mimics the show's celebrated gameboard opening, which shows the cities of Westeros rising and falling—a perfect metaphor for the changing fates of the different factions on the show. 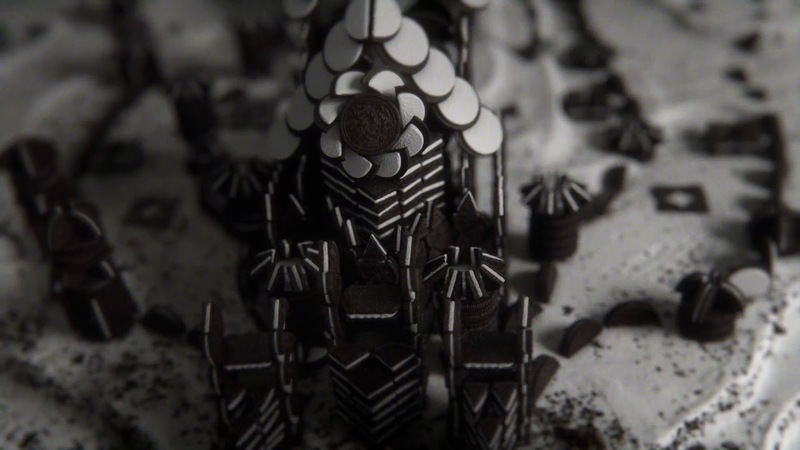 Oreo used 2,750 cookies to create the piece, which features such locations as Castle Black, Dragonstone, King's Landing and Winterfell. Oreo's GoT tie-in also extends to product and packaging as well. A pack of limited-edition Game of Thrones Oreos, also designed by 360i, features four embossments on the cookies representing the groups still battling for the Iron Throne—House Lannister, House Targaryen and House Stark—as well as the The Night King and the White Walkers. The cookies will hit stores next Monday, April 8. Fans are encouraged to pledge their fealty for House Lannister, House Targaryen, House Stark or The Night King by visiting oreo.com or Oreo's Facebook and Twitter pages—and using the hashtags #GameofCookies and #ForTheThrone. Oreo will surprise fans throughout the GoT season with a special treat for participating.